Do My Parents Need Assisted Living? Living in a supportive care community can be beneficial to the health and well-being of any older adult. Studies show that older adults who reside in senior living centers are happier and more productive, and tend to live more fulfilling lives than those who live alone. But, the decision to actually make the move can be difficult. Sometimes older adults equate staying in their own home with maintaining their independence. This can be a fallacy however, as independence can be greatly hindered by health and mobility issues or even cognitive challenges. Learn how to decipher the signs that your parents may benefit from moving into a supportive senior living community. A common cold or a sore back may be alleviated with over the counter medications, but greater injuries or health issues that require frequent visits to a doctor’s office or regular home visits from family or friends may indicate that the needs of your parent have outgrown their available resources. 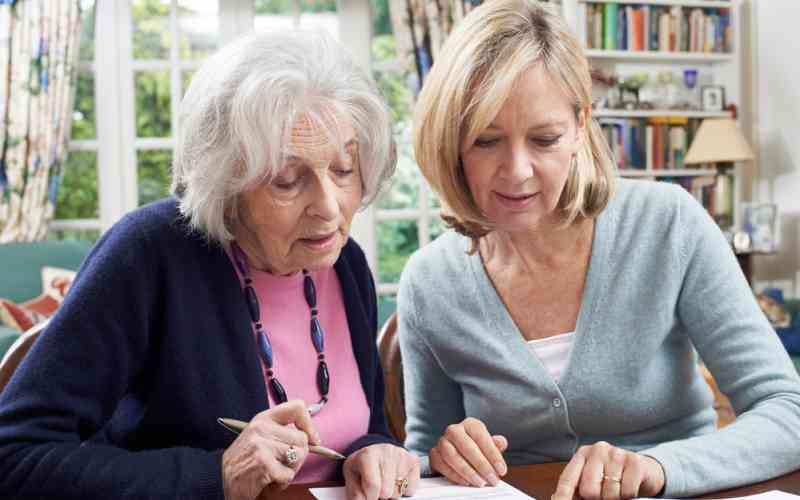 Following challenging daily medical regimens, including complicated medicine schedules, is a lot to ask of visiting friends or family members, especially if your parent is suffering from dementia and frequently forgets instructions. Other issues such as incontinence or major mobility issues that hinder daily tasks are signs that it’s time to get your parents more help. Changes in cleanliness, hygiene or appearance may be signs that your parents are struggling to take care of themselves. Unexplained scratches, bruises or other injuries are also likely signs of trouble and could point to issues with mobility or balance. Significant changes in social interaction can be a major red flag. Perhaps your mother used to take classes at the gym, enjoy day trips with her church group, or meet up with girlfriends for lunch, but lately has just been staying home. Socializing can be challenging for older adults as it becomes more difficult to get around or as friends or family members pass away. Living in a socially-minded supportive care community can ensure that your parents continue to have ready access to a variety of gratifying social experiences. Forgetfulness often increases with age. Although sometimes it’s just an annoyance, it can be dangerous at times. Forgetfulness can translate to forgetting social engagements or doctor’s appointments, but can also result in dangerous mistakes such as neglecting to turn off the iron or the stove. Another memory issue that affects many older adults is dementia. If your previously easygoing father suddenly becomes combative or suffers from spells of depression or mood swings, it may be a sign that he is suffering from dementia. Aggression, confusion, anxiety and depression can all be signs of dementia. The medication management provided by an assisted living community is beneficial for many older adults, but particularly those with complex drug regimens and/or memory issues. From time to time, everyone gets a bit behind with housework, but if you continually see a sink filled with unwashed dishes, increased clutter in the house or yard, and broken appliances that are not fixed or replaced, then this is cause for concern. These may be signs that your parents simply can’t keep up with everyday household tasks. A supportive senior community can be a safe haven for your parents, and can provide a high level of personal care and social fulfillment. At Kyffin Grove, our care staff will provide the support your parents need to live well and to be as independent as possible. To learn more about how Kyffin Grove’s engaging lifestyle programs, fine dining and our wellness programs designed to meet your parents’ changing needs, contact us to schedule a tour.